Two con men attempt to rip off the mobster responsible for their friend's murder. 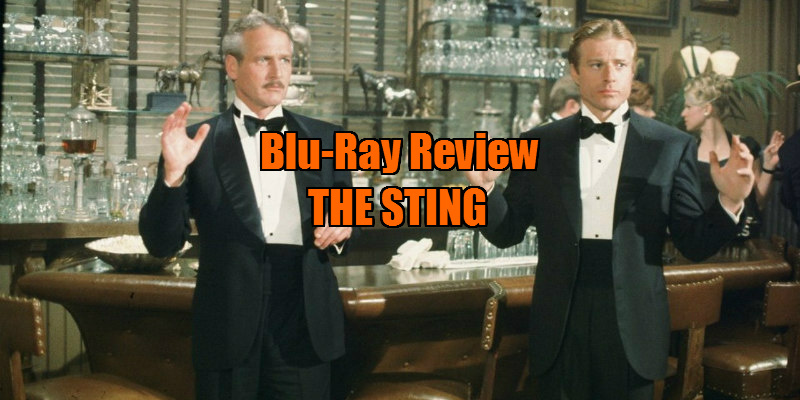 The Sting is a cleverly constructed confection, and its engaging performances, oblique visual style and delightful narrative twists are certainly worth several replays. A pitch perfect buddy movie which has lost none of its charm. In a time before VCRs and multiplex cinemas, popular films continued to show at your local cinema until audience demand was exhausted. With no prospect of future opportunities for multiple re-viewings, audiences gorged themselves on popular films. The Sound of Music is the ultimate example of a film adored by its cinema audiences - some enthusiasts literally saw it hundreds of times - but in 1973 The Sting was the film universally loved, remaining at some cinemas for over a year. The critical reception was equally enthusiastic. The film garnered an impressive seven Academy Awards from 10 nominations, including the award for best picture. What was it then that audiences so loved, and does this film retain its old magic? Robert Redford, Paul Newman and director George Roy Hill had a tough act to follow back in 1973. Their previous collaboration, Butch Cassidy and The Sundance Kid (1970), had been so successful that a less confident director might have decided that to try and improve on the magic formula would be sheer foolishness. 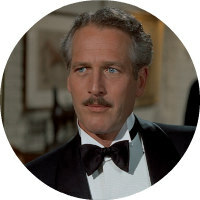 There are strong similarities between the two films: both pairs of central characters are outlaws and underdogs, both films deploy comic exchanges between Redford and Newman to great effect, both luxuriate in lush period detail and both feature a damned catchy tune; but whereas Butch Cassidy is an elegiac lament for the passing of the Old West and is principally interested in the development of its characters, The Sting is a caper film which delivers its pleasure through expertly paced narrative. There are few films that make gambling seem so exciting and The Sting is often cited as one of the greatest gambling films of all time. Set in Chicago in 1936, the film tells the story of a ‘long con’ perpetrated by the lovable pair of con artists played by Redford and Newman. That magic screen relationship, the definitive buddy relationship reprised from Butch, is at the heart of the film; it’s our desire to believe in the purity of that friendship that enables the film to emotionally wrong foot us at key moments in the narrative. This is a much more sophisticated film than its predecessor, it’s '30s style is almost hyper real, with its title cards and baggy trousers, the dialogue is sharp and swift and it’s easy to miss the clues, but most of all, the film is a con. The audience is played just like Robert Shaw’s character Lonnegan, except that when the sting is complete, we walk away smiling. Some of the plot is implausible and the female characters are very peripheral, even by the standards of the 1970s, though there is one interesting example of stereotype busting, but I won’t sacrifice a plot twist by telling you. If you’re seeing this film for the first time I defy you not to be swept up by the charm of its central characters and its narrative brio. If you’re seeing it again will it still work its magic? Well I think so; it’s a cleverly constructed confection, and its engaging performances, oblique visual style and delightful narrative twists are certainly worth several replays. 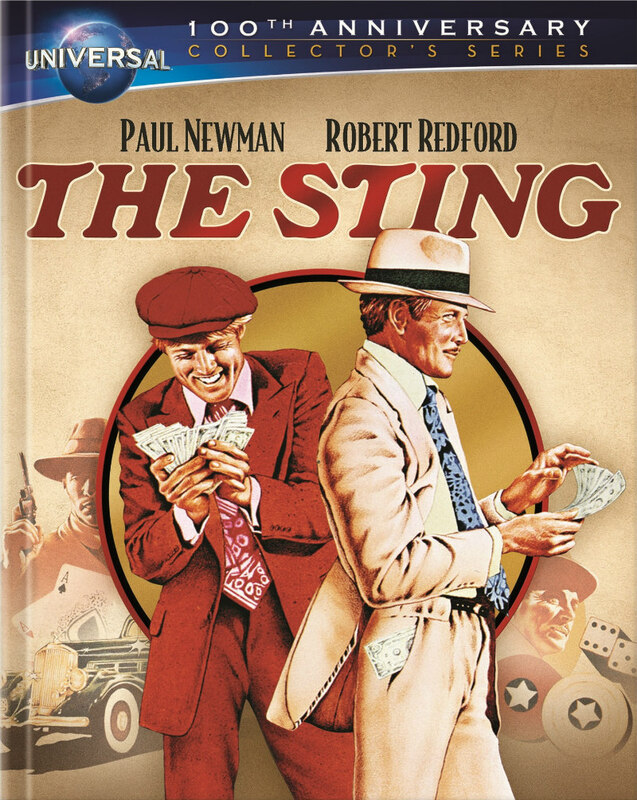 The Sting is available now on Blu-Ray, DVD from Universal Studios.